Finding an economical printer that is exceptional in most of its attributes can be a quite a challenge but Brother Duplex Laser Printers exude confidence with what they have to offer. A printer that is capable of duplex printing lets you save time, paper and printing costs. It, also, gives you professional two sided printouts such as document, manuals or brochures. Brother Duplex Laser Printers have all the essential features of a reliable printing device such as fast print speeds, remarkable and professional looking printouts, good paper handling, networking capabilities and compatibility with known operating systems. Better yet, they are very affordable. Brother HL-5250DN is a monochrome laser printer that measures 14.6" W x 15.1" D x 9.7" H and weighs 21.6 lbs. 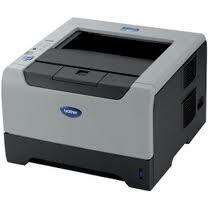 It is ideal for a busy office with its fast print speed of 30 pages per minute. Its first page prints in less than 8.5 seconds. Exceptional prints are produced with its maximum resolution of 1200 x 1200 dpi. With its dual-side printing capabilities, you can come up with professional looking documents, manuals and brochures. It has an input capacity tray of 250 sheets that can support envelopes, letter size and legal size papers. It, also, has a multipurpose tray that can hold 50 sheets and comes with two extra trays for additional sheets. It has a monthly duty cycle of 20,000 pages. It is compatible with Windows, Mac and Linux operation systems. It has a standard memory of 32 MB with an option to increase up to a memory of 64MB, 128MB, 256MB and 512MB for more difficult print tasks. It has a built-in Ethernet network interface that allows printer sharing among several computers. Brother HL-5370DW Laser Printer is a monochrome printing device that is easy to use and operate. It measures 14.6” W x 15.1" D x 9.7" H and weighs 20.9 lbs. It has a rapid print speed of 32 pages per minute and a maximum print resolution of 1200 x 1200 dpi that gives exceptional quality prints. Its duplex printing capability enables the user to save on paper costs. This printer has an input capacity tray of 250 sheets that can handle media in sizes Letter, Legal, Executive, A4, A5, A6, B5, and B6. It, also, has a multipurpose tray that can support the same as the input tray with the additional envelopes and custom sizes (2.75-8.5" (w), 4.57-16" (l)). It has a monthly duty cycle of 30,000 pages. It comes with flexible networking, allowing it to be shared with other computers within the network. Its wireless connectivity eliminates all the unnecessary cables and wires that add to electricity costs and clutter in the workplace. It supports Windows, Mac and Linux operation systems. Brother HL-4070CDW Laser Printer is an affordable, high speed color laser printing device that measures 16.5" W x 18.7" D x 12.5" H and weighs 64.2 lbs. It prints with a resolution of 2400 x 600 dpi and a speed of 21 pages per minute for both mono and color. Its flexible connectivity allows you to share printer with other computers within the network. It, likewise, offers Parallel and Hi-Speed USB interfaces. You can reduce costs of operations and materials with its dual sided printing capability and with its high yield toner cartridges. You come out with professional looking documents. Aside from this, you can print a lot and for a longer period of time without changing cartridges every now and then. It has a standard 300 sheet paper capacity, 250 of which can hold envelopes, letter and legal sizes of paper. Its multipurpose tray holds 50 sheets. It has a USB direct interface that allows you to print PDF and JPEG files straight from a USB flash card. Likewise, it lets you print directly from a Pictbridge enabled digital camera. Brother HL-5250DN, Brother HL-5370DW and Brother HL-4070CDW are laser printers that produce professional looking documents, presentations and brochures with their duplex printing capabilities. This function makes the user save on printing costs. These Brother Duplex Laser Printers are efficient and reliable with their fast print speeds, high resolutions, networking capabilities and more. All these come at an affordable price that makes these devices accessible to those who need them in a workplace.